Now, I want to do the same thing, but this time, using PowerShell. We can easily achieve this with the help of PowerShell and typing a few simple commands. Before we begin with DHCP installation process, ﬁrst we need to make sure that it’s not installed in our Server 2016. We can verify this in two ways., which are given below. As you can see below, I opened my Server Manager to check (Left side , under Dashboard), if DHCP is already installed, as we can see in the screenshot given below, DHCP Server roles are not installed yet. Let’s verify this, using PowerShell. All you need to do is, just open your PowerShell and type the command given below. You can notice in the screenshot given above, install Sate for DHCP says “Available”, which means that it’s available for the installation and it’s not installed yet. Thus, we can continue with our installation process..
To install this DHCP server role using PowerShell, we need to use the command given below. After installing this DHCP Server role, type the commands given below to install DHCP Management Tools. We have successfully installed DHCP Server role and all the required tools to manage it. We can verify this in two ways. We can go back to Server Manager to see, if there is a DHCP Server role, the other way is suing PowerShell…Let’s ﬁrst verify this, using Server Manager. We can also verify this using PowerShell, using the command given below. IIS 8.0 Hosting - HostForLIFE.eu :: How to Fix PUT/POST/DELETE Verb Errors On Site ? After some troubleshooting the error was disengaged to the way that WebDav was installed on the server and was catching those requests for its own service use. Instead of removing Webdav from the server, we made a go at searching for an alternate solution. Thankfully somebody on Twitter comprehended the issue and gave an illustration of changes to make to the customer's web.config record with a specific end goal to disable (remove) the Webdav module for simply that particular webpage without requiring any requiring managerial activities on the server. I tried many things like restarting Visual Studio and running Visual Studio as administrator but nothing worked. Finally, after spending a few hours on it I got the solution, so here I am sharing the solution. Open windows registry and browse parameters in HTTP where you can see what URLs are allowed to be bound to services without admin privileges. The parameter is called ListenOnlyList and it needs to be set to the address that exists on your machine. Once IP address is successfully added, you can see ListenOnlyList added in the registry with correct value. Now run your web application again. I hope that will resolve your problem. Try our IIS 8.0 with Free ASP.NET Hosting today and your account will be setup soon! You can also take advantage of our Windows & ASP.NET Hosting support with Unlimited Domain, Unlimited Bandwidth, Unlimited Disk Space, etc. You will not be charged a cent for trying our service for the next 3 days. Once your trial period is complete, you decide whether you'd like to continue. 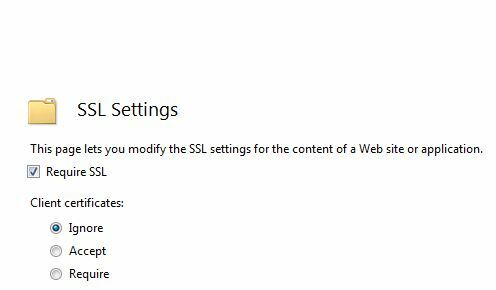 IIS 8.0 Hosting France - HostForLIFE.eu :: How to Exploit the URL Rewrite Module for IIS to Handle Redirects to HTTPS? Hopefully we can eliminate the first condition, if we want the rule applies to the entire website and not to a particular folder. The final effect, specified in the node Action, is to perform a Redirect to the same page, but with the correct protocol. Today, I will show you how to generate SSL certificate request (CSR) with Certreq. Certreq.exe is a command-line utility included on Windows Servers. It allows you to quickly generate a certificate request without having to use Windows's laborious GUI. Subject = "CN=www.example.com, OU=Organizational_Unit, O=Organization, L=City, S=State, C=Country"
ProviderName = "Microsoft RSA SChannel Cryptographic Provider"
Open the .csr file, and copy its contents in Kinamo's CSR application form, including the BEGIN CERTIFICATE REQUEST and END CERTIFICATE REQUEST lines. Navigate to your web server. By default, the Web Server will render the following message when the folder has no default documents. And you're done! Simple, right? In this article, I will tell you how to configure DNS record for sub domain. Open your domain control panel then go to DNS manager. First two rows will ensure that whenever user browse domain.com or www.domain.com at that time it will be routed to IIS server and rest will be take care by IIS then it will serve public site. The third row in above is important for next step. In above wildcard entry ensure that any sub domain request for domain.com will be routed to server which is pointed by service.domain.com. In IIS setup, you have to edit website binding to include domain.com and www.domain.com as host header, by this way you can tell IIS that any request from domain.com and www.domain.com will be handled by this particular website. So, whenever user browse domain.com or www.domain.com it is serving public website without any problem. In this article, I'm going to explain how to set Windows Authentication to configure ASP.NET application in IIS. 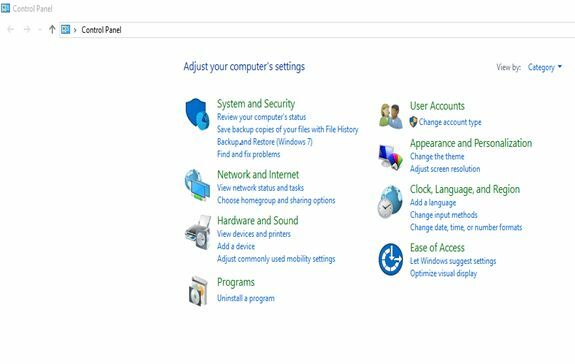 To make Windows authorize application you need to make changes in web.config as well as IIS manager. Start Internet Information Services (IIS). Right-click your application’s virtual directory, and then click Properties. Click the Directory Security tab. Under Anonymous access and authentication control, click Edit. 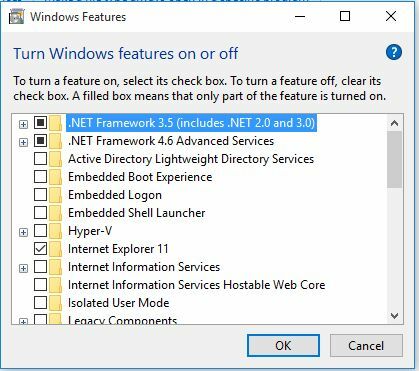 Make sure the Anonymous access check box is not selected and that Integrated Windows authentication is the only selected check box. Now, your application will work on windows authentication. It's done! You will get user from windows credential and check with existing user with database. If user is valid go ahead other wise navigate the user to Invalid page. IIS 8.0 Hosting - HostForLIFE.eu :: How to Setting Up IIS On Your Windows 10 OS ? 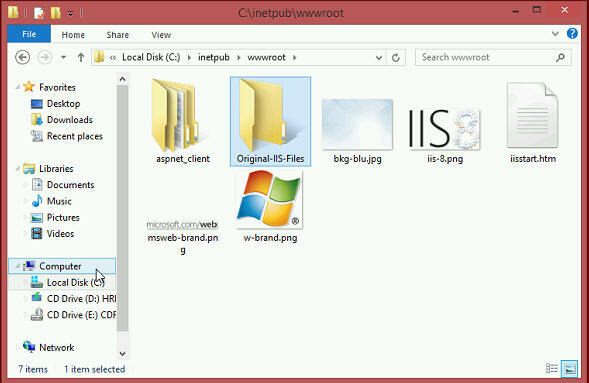 In this article, let me show you how to setting up IIS on your Windows 10 OS. I am using Windows 10 Enterprise edition. When you pressing Enter, it will throw page not found error. Now I am going to search for IIS manager. Not found! Then, open Control Panel -> Click Programs. Under Programs and Features, click Turn Windows features on or off. Just check the Internet Information Services and its related features. Then click OK to complete the installation of new features. 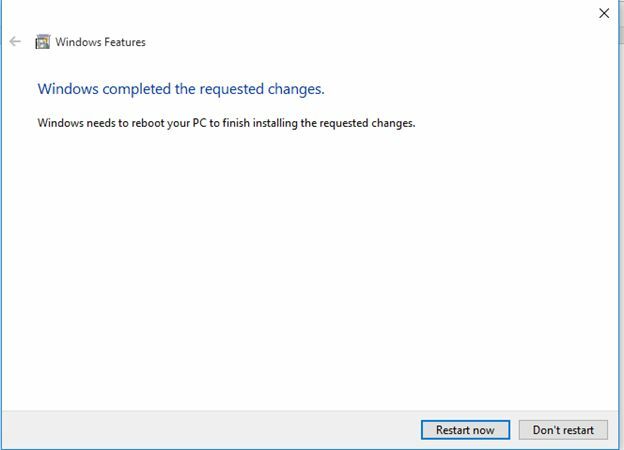 Click Restart now to apply changes to complete the IIS feature installation. 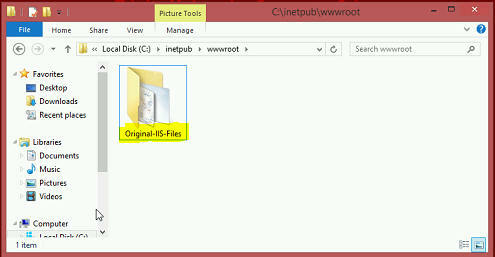 After restart, you will see the IIS webserver option on the All Programs menu. Now, open the browser then write on address bar http://localhost. 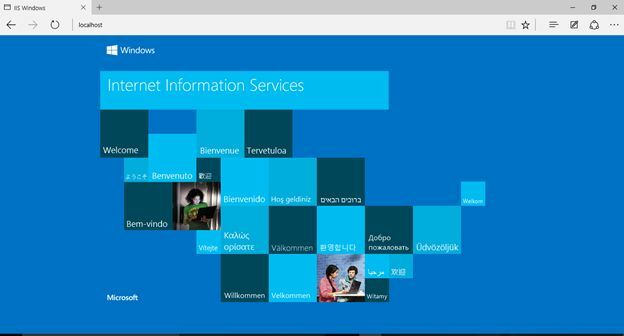 Internet Information Services (IIS) successfully configured! 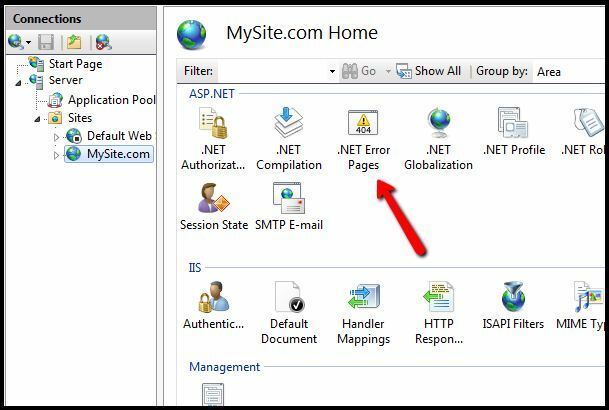 In this post, we're gonna explain how to use ASP.NET to configure custom error pages in IIS (Internet Information Server). 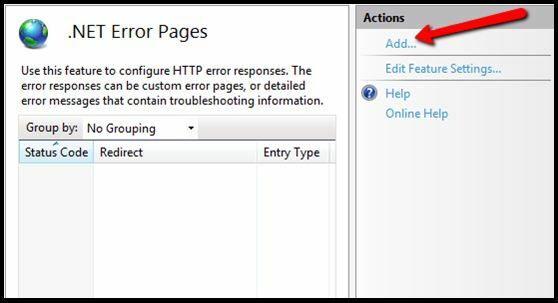 If we configure .NET Error Pages at the site level, ASP.NET stores the settings in the site’s web.config file. Since these settings are stored in the web.config file they are portable and can be easily moved to another server with the site’s content. Open Internet Information Services (IIS) Manager. Select your website. Note: This could also be set at the server level and applied to all sites on the server. DoubleClick on the “.NET Error Pages” icon. 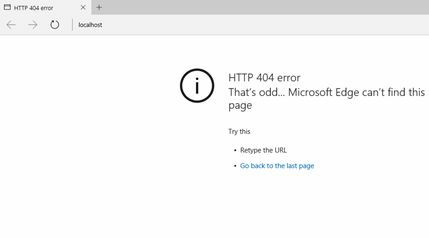 The .NET Error Pages features view will be displayed. Click the “Edit Feature Settings” link to enable this feature. The “Edit Error Page Settings” dialog box will appear. In order to change the default mode, we must also specify a “Default Page”. This page will be used for all status codes that are not otherwise defined. In this example, we are using a generic custom error page to trap all other errors. 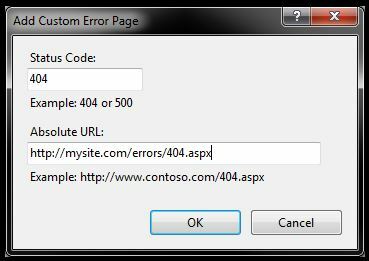 Once you enter the absolute URL for the default error page click OK. It may be a good idea to use a static HTML page here just in case ASP.NET is not functioning properly. 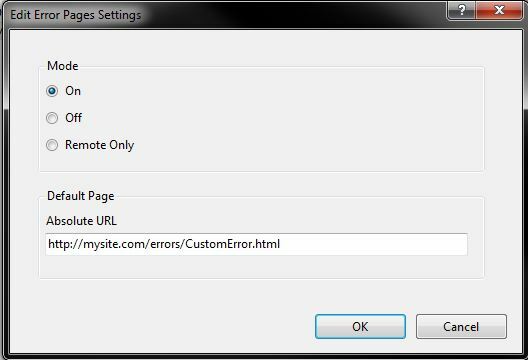 By default server errors are shown when logged on locally to the IIS server and custom errors will only be used from remote sessions. You will want to change this to “On” if you are logged on locally to the IIS server. 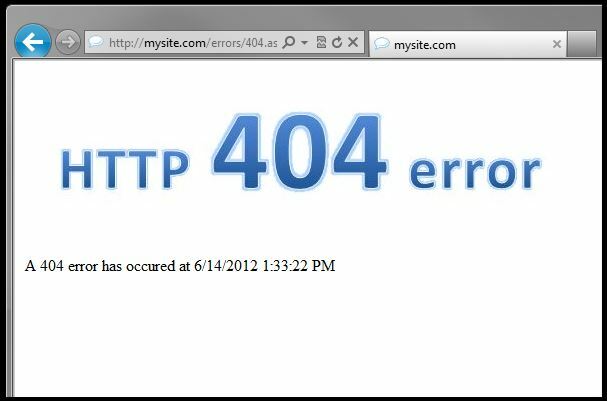 Otherwise, it will display detailed server errors, and not our custom error pages. On the .NET Error Pages Actions menu click the Add link. The “Add Custom Error Page” dialog will appear. This is where you define individual error pages per status code. 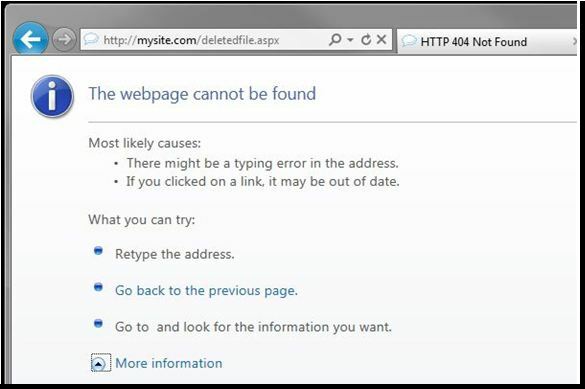 For this example, you will add a custom page for the HTTP 404 Error. Now that you have turned on the feature and added a custom page for the 404 status code, you can verify it is working. To verify visit a page that does not exist. In this example, you will use http://mysite.com/deletedfile.aspx. 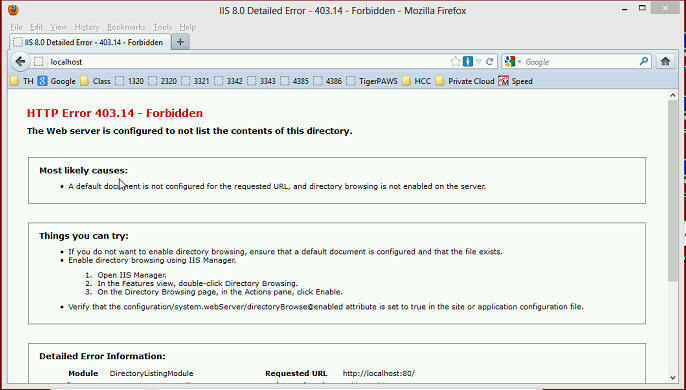 You can see in the following image that the custom error page was shown. As mentioned above this can also be managed from the site’s web.config file. Consider the following configuration section from our site’s web.config file. Everything you set in the GUI can easily be set directly in the web.config. This will also allow you to setup .NET Error Pages, if you are on a shared hosting Plan.